Safe, quick and practical. 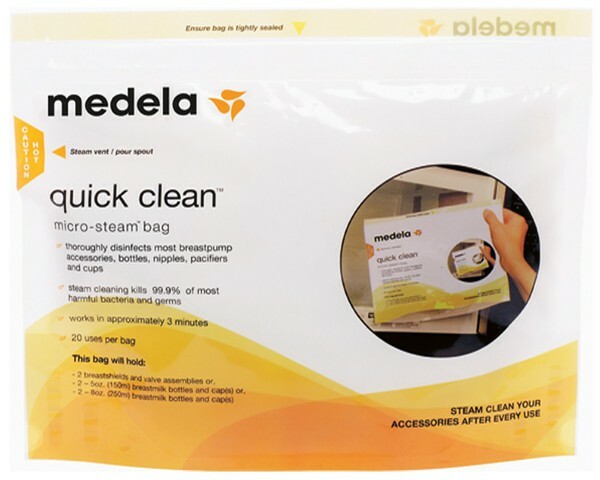 With Medela Quick Clean Micro-Steam Bag you can disinfect breast feeding accessories in less than three minutes – it only takes three steps. This makes it faster and easier than boiling. Medela offers a variety of breastpumps to meet every mom's needs. In addition, Medela also offers a wide range of breastfeeding accessories that support and enhance the breastfeeding experience.